It is undeniable that in an economy where job growth has stalled, recruitment agencies will have their backs up against the wall. Still, there are some companies in this sector still managing to seek out expansion. Leading the way are growth companies Workforce Holdings and CSG Holdings, both with market caps of around half a billion rand. 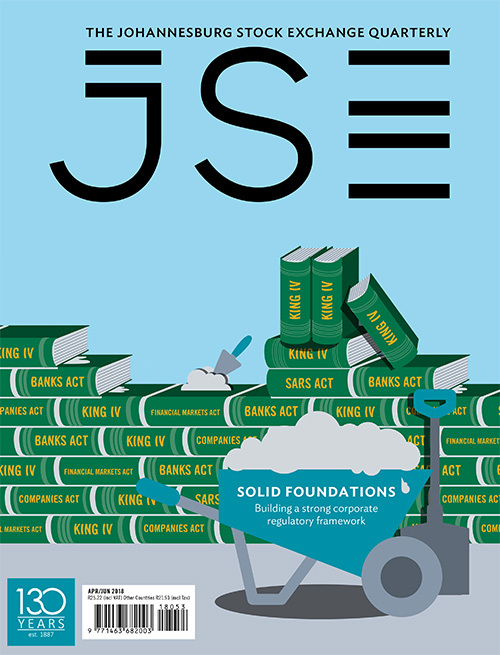 Adcorp, the third of four companies listed on the Business Training and Employment Agencies sector of the JSE, and the only one with a market cap of more than R1 billion, was engulfed by a perfect storm. The fourth, small-cap Primeserv Group, was able to put in a first-class profit performance but only after a strict belt-tightening exercise. While the sector faces headwinds on the job creation front, this is partially offset by the well-established trend to outsource employment. Indeed, the biggest contributor to the sector is as a provider of sub-contracted jobs to clients rather than traditional employment agency services for permanent jobs. However, there is a limit to how many more jobs can be outsourced. On the regulatory front, all the companies reported that a measure of stability returned to the market for placing temporary staff, also known as labour-brokering, after greater legal certainty was achieved through the courts. In 2015, the business models were challenged by legislation that at the time appeared to compel clients to offer permanent jobs to temporary staff. Workforce, which has been on an expansion path since 2014, in its most recent financial year managed robust revenue growth even before including new acquisitions. In the year that ended December 2016, organic growth was up 16%, driven by its core blue-collar and technical staffing businesses. Including acquisitions, revenue climbed as much as 29% to R2.52 billion. Total comprehensive profit rose at the lower rate of 18% to R91 million after clients took longer to pay Workforce, the group says. ‘This has been achieved against the backdrop of a sluggish economy coupled with ever-increasing levels of unemployment and amended labour regulations,’ according to Workforce. Indeed, Workforce’s staffing and recruitment unit, the most exposed to the poor jobs environment, managed double-digit revenue and operating profit growth. Workforce placed as many as 32 000 contractors weekly, underlining how important the provision of temporary staff is to the group, and indeed the entire industry. However, Workforce is still worried about prospects for employment growth and has successfully diversified, increasing exposure to the higher-margin staff-training area. Following the acquisition of mining skills instructor Prisma, for only R65 million, profits in the training unit surged. To date, the acquisition has been a fantastic return on investment with training unit operating profit increasing from R3 million to R24 million. The focus on training aims to create an opportunity out of the skills shortage in the country, a problem that continues even when jobs are not being grown in the economy. Moreover, the problem won’t go away anytime soon and dovetails with government schemes to invest in training. For Workforce, the biggest difficulty is one many companies in the current climate could only dream of: the stakes owned by its main shareholders are too big. This lack of liquidity in the share makes it difficult to attract investors. The two largest shareholders, which include management, have a combined stake of about 65%. The board has recognised the problem but are yet to announce any increase in the free float of shares. 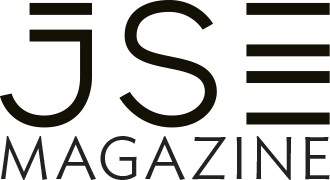 In December 2016, CSG Holdings, a player in select markets such as security services to shopping malls, upgraded its listing to the Main Board of the JSE from the bourse’s smaller cap AltX. A month later (January 2017) CSG received a major vote of confidence from mining billionaire Patrice Motsepe after his private investment arm African Rainbow Capital (ARC) made an investment of R48 million. Following this capital raising, ARC ended up with an effective 8.3% stake in CSG. The deal potentially gives the acquisitive CSG a stable investor with the ability to anchor further capital raising. This would be much in the same way that Johann Rupert’s Remgro has provided funding for investments such as Mediclinic. 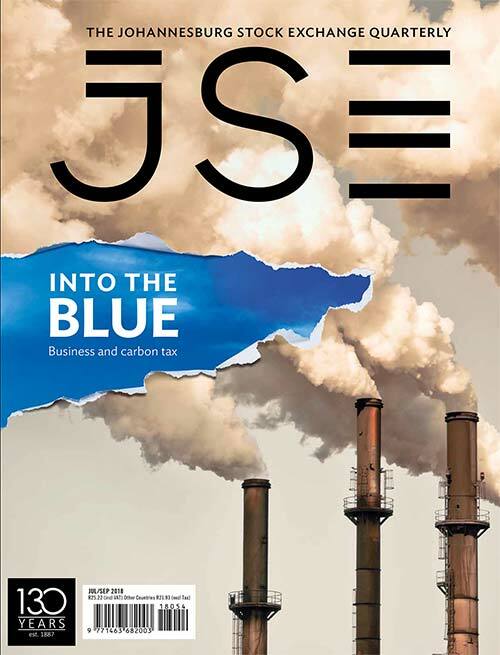 In potentially good news for CSG, in June 2017 Bloomberg reported that ARC planned to raise more than R3 billion as part of a listing on the JSE this year. While providing temporary employment is still the biggest contributor to CSG profits, this is shifting towards services, including security in the facilities management division. In general, the security industry is renowned for its low barriers to entry and resulting low margins. However, CSG has emphasised its push into the area is at a more sophisticated level that is harder for rivals to replicate. ‘The focus has been on expanding into service-delivery businesses that are more technology-based, with a higher barrier to entry,’ says CSG. In the year to March, revenue was up 37% to R1.75 billion. However, operating profits rose just 20% to R128 million as expenses swelled. At an operations level, the immediate future performance of CSG will depend on the ability to bed down acquisitions, including controlling expenses. Adcorp, with a market share of about 15%, is cautiously optimistic of boosting profits in the current financial year (financial 2018) after describing financial 2017 as ‘the most difficult in the group’s 41-year-long history’. Once-off costs, such as losses in oil-producing countries in the rest of Africa, and domestic retrenchment costs ‘are unlikely to repeat in full-year 2018, which should provide a major boost to earnings’, says Adcorp. The group also intends to sell non-core businesses to reduce a debt burden. Strategically, the group is developing a cheaper and more efficient shared capability ‘to service the group’s operations off the same back office platform’. Adcorp is also preparing itself for digital disruption in the industry by embracing technology to service clients’ human resources needs quicker. At the ‘coal face’, it is also embracing labour solutions that will enable contracted staff to work alongside robotic machines, a move that will be tempting for owners of factories where unions are relatively weak. The perfect storm that Adcorp endured in the year to February 2017 included, at an operating level, a subdued SA market and ‘sizeable’ losses in oil producers in the rest of Africa following ongoing low oil prices. In SA, some stability returned to the key market for temporary employment services (TES), or labour-brokering, after a labour court ruling in 2015 that clients were not obliged to take on these staff as permanent employees. However, volumes did not fully recover to pre-legislation levels and the business-friendly judgment has been appealed. 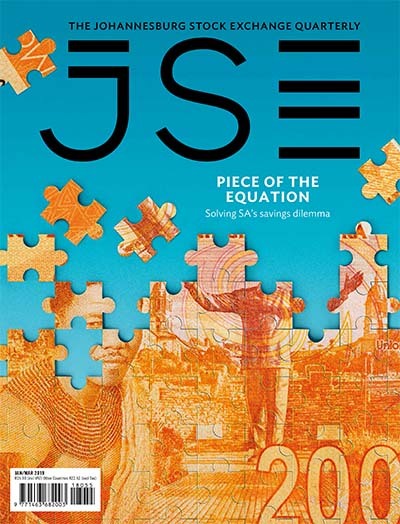 According to economist Haroon Bhorat, of the Labour Market Intelligence Partnership, the growth in contribution of the TES sector to GDP and employment has been in the expanding tertiary-services sector, such as financial services call centres. Many had expected the main driver to be stricter labour regulation and unionisation in shrinking ‘old economy’ areas, such as manufacturing. He also found that, at 5.4%, the TES sector contribution to GDP, was higher than the contributions from mining, agriculture and utilities, respectively (individually, not combined). The same trend was seen in employment provided by the TES sector. Moreover, that the dramatic rise in TES hiring over the last 20 years had employed and trained young people, the age group with the highest unemployment rate. While TES employment offers companies labour flexibility, it has also provided more long-term work opportunities than had been previously assumed. Coming back to Adcorp, oil producers in Angola and Nigeria cut back on projects, resulting in a reduced demand for outsourced human resources. Overall, at a group level, this resulted in a total comprehensive loss of R288 million for the year. Revenue was up 3% to R16.07 billion. Despite the heavy loss, cash generation was once again ‘extremely positive’ with a cash conversion ratio ‘a creditable 178% compared to the group’s target conversion ratio of 80%’. Adcorp also managed to get clients to pay quicker than in financial 2016. The group may be forecasting a better financial 2018, but it does not expect a return to the normalised profitability of the past, stressing the negative impact of credit downgrades on job-growth prospects. In May, small-cap Primeserv Group said it expected earnings per share in the year to March 2017 to increase by between 21% and 28% in the year to March 2017. This indicates the rate of profit growth generation for the full year will, at the very least, be in line with that in the first six months of the financial year, or possibly better. In the first half to September 2016, earnings per share were up by 21% despite reduced ‘headcounts’ and hours worked at some clients. These lower gross profits were offset by efficiency gains on the expense line. 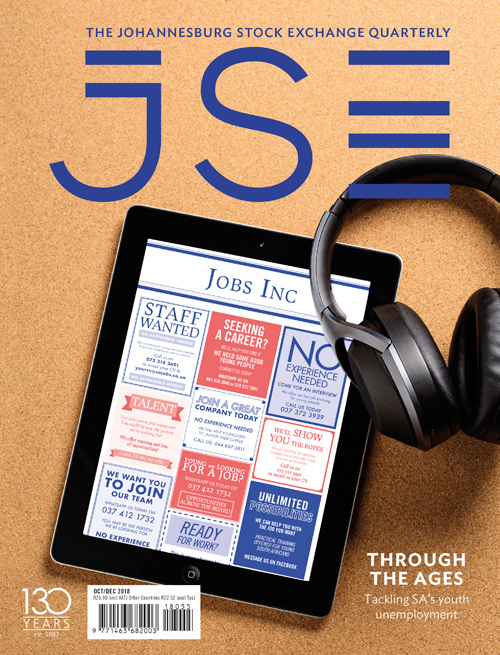 For the most part, these JSE-listed companies in the recruitment sector have displayed resilience in one of the toughest sectors. The fact that the biggest one, Adcorp, has a market share of around just 15% suggests there are consolidation earnings opportunities in the unlisted space as long as they can use greater scale to reduce costs to revenues. This may be particularly true of family-owned businesses keen to divest due to political risk in SA. While Adcorp doesn’t have a price-to-earnings ratio as it reported a loss, Workforce, CSG and Primeserv all trade on price-to-earnings ratios below seven. This means the share prices of the three are extremely cheap relative to the profits they earn, according to Bloomberg. Unfortunately this does not guarantee the share prices have hit rock bottom. Further credit downgrades to SA’s government debt could see job losses intensify as the crisis of confidence grips the economy even tighter. However, the low share prices also mean that small improvements in the economy, as long as they are sustained, could see outsized share price gains. 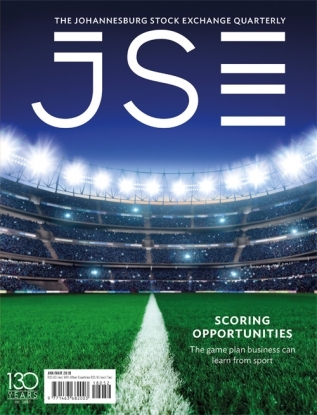 Early positive indicators will offer opportunities to entrepreneur investors such as Motsepe and high net worth individuals with extra funds to invest. The companies are still some way off attracting new risk-averse investors such as pension funds.